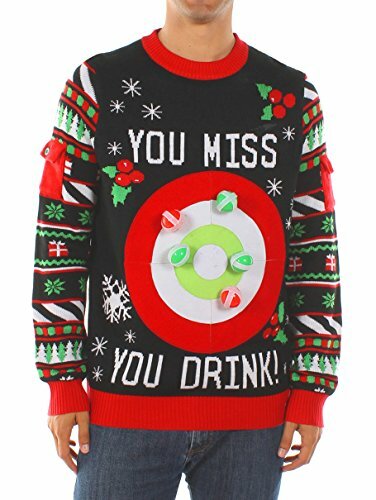 Drinking game sweater with 6 velcro balls included! Balls also will stick to sweater and stick strongly to the target. Sweater is machine washable. Rules are knit into the back of the sweater.